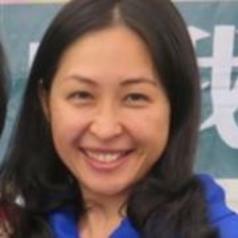 Ching-Yu Huang holds a PhD and a MPhil in Social and Developmental Psychology from the University Cambridge (King's College), a MSc in Applied Forensic Psychology from University of York and BSc in Psychology from National Taiwan University. She is currently a Lecturer (Assistant Professor) of Psychology at Bournemouth University, and leads the BSc in Psychology with Forensic Investigation program, and teaches on Forensic Psychology, Cultural Psychology and Developmental Psychology. Dr. Huang is experienced in providing consultancy and trainings to legal professionals about investigative interviewing with children and ways to mitigate cognitive biases in investigation process. Her research examines children's development in applied contexts, including within family, immigration and the forensic contexts. Children and Youth Service Review, Romantic Involvement and Adolescents’ Academic and Psychosocial Functioning in Chinese Societies. Journal of Child and Family Studies, The Effects of Peer Victimization on Children's Internet Addiction and Psychological Distress: The Moderating Roles of Emotional and Social Intelligence. Computers in Human Behavior, Associations between child maltreatment, PTSD, and internet addiction among Taiwanese students.